An index to those artists who took part in the First Impressionist Exhibition in the former studio of photographer Nadar, at 35 Boulevard des Capucines, on 15 April 1874, with links to articles about them. I will update this as further articles are published here. Zacharie Astruc (1835-1907), talented writer and critic, later sculptor and painter. Influential defender of Manet, driving force behind Japonisme, sculpted the head of Manet in bronze for his grave. Painted mainly flowers in watercolour. Article. 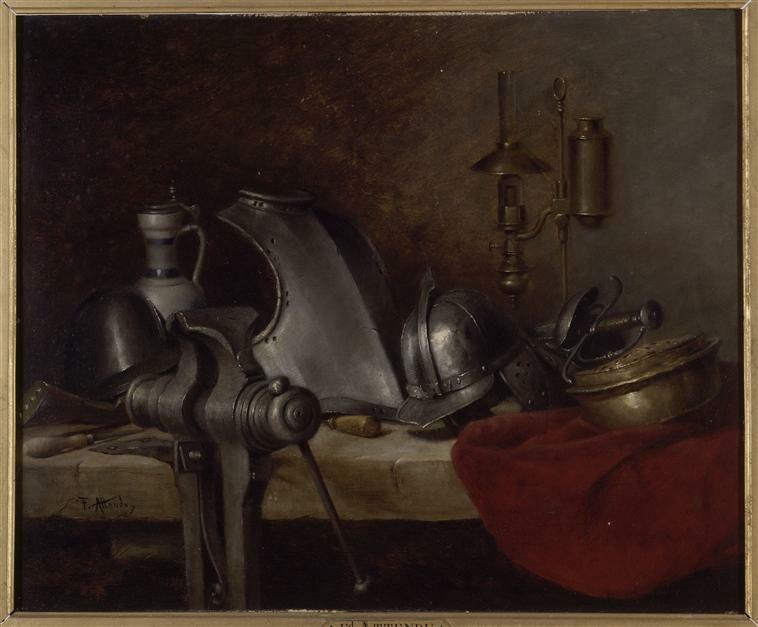 Antoine-Ferdinand Attendu (1845-1908), largely unknown painter mainly of still lifes in Salon style. Article. 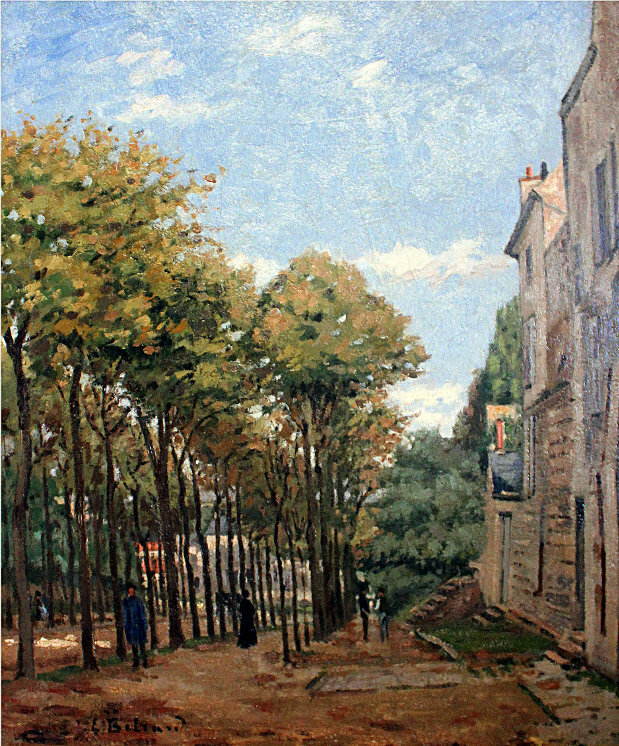 Édouard Béliard (1832-1912), close friend of Pissarro, painted in company with him, Cézanne, and Guillaumin around Pontoise in 1872. Abandoned painting for local politics in about 1880-2, and became mayor of his home town. Article. 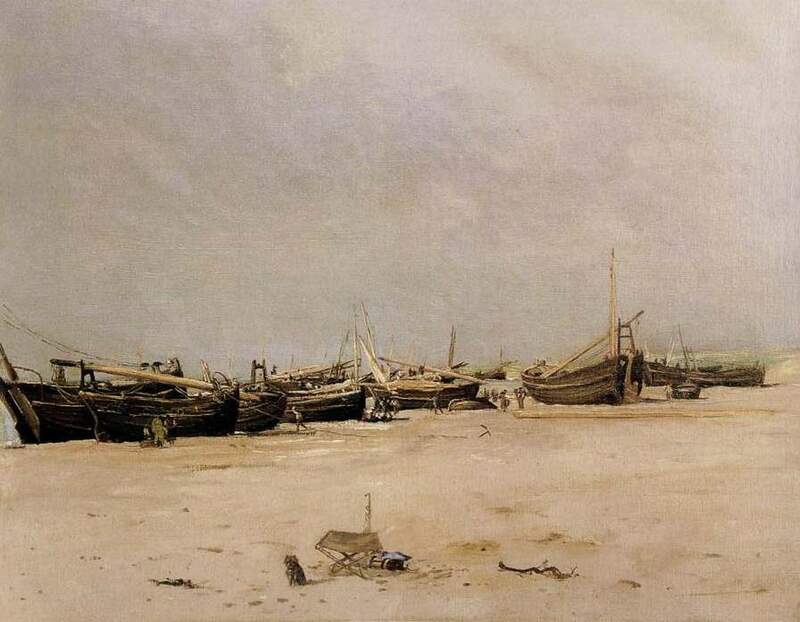 Eugène Boudin (1824–1898), a distinctive painterly painter of beach and waterside scenes. A mentor to Monet, and a major influence on him and Impressionism. Dubbed ‘master of the skies’. Article. 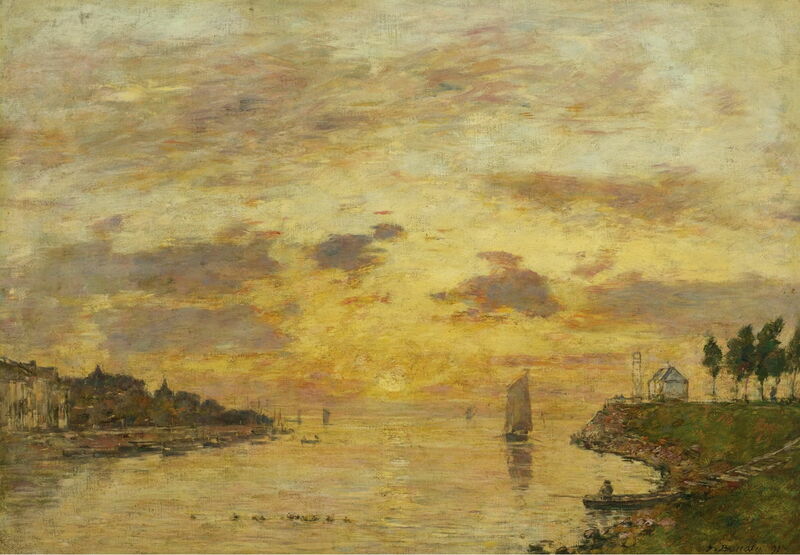 Eugène Boudin (1824–1898), Saint-Valery-sur-Somme. The Mouth of the Somme (1891), oil on canvas, 46 × 65.4 cm, Private Collection. Wikimedia Commons. Félix Bracquemond (1833-1914), a print-maker who spent much of his career designing porcelain. A good friend to many Impressionists, and early adopter of Japonisme. However, he paradoxically attacked his talented painter wife, Marie, when she adopted Impressionist style. Article. 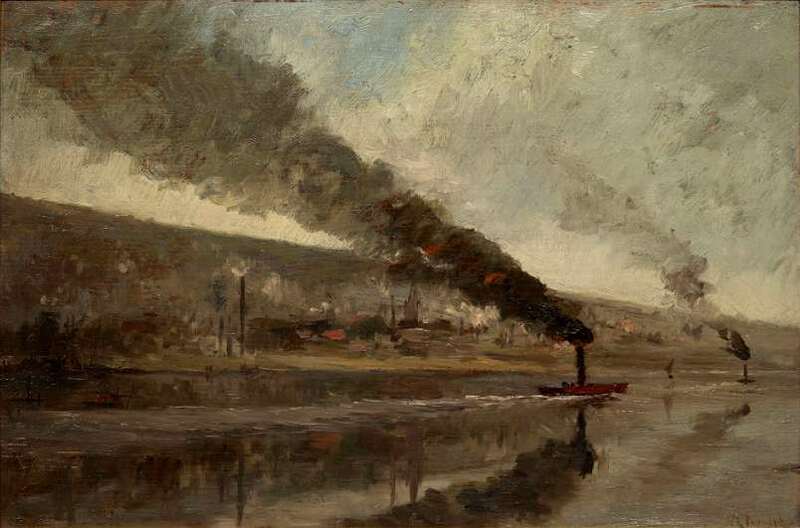 (Jacques/Jacob Émile) Édouard Brandon (1831-1897), a career painter who did not appear to adopt Impressionist style, but became one of the three major Jewish painters in France at the time. Article. Jacob-Emile-Edouard Brandon (1831-1897), Portuguese Synagogue at Amsterdam 22 July 1866 (1867), oil on canvas, 75.5 x 174.3 cm, Walters Art Museum, Baltimore, MD. Courtesy of Walters Art Museum, via Wikimedia Commons. Note: original painting in colour. 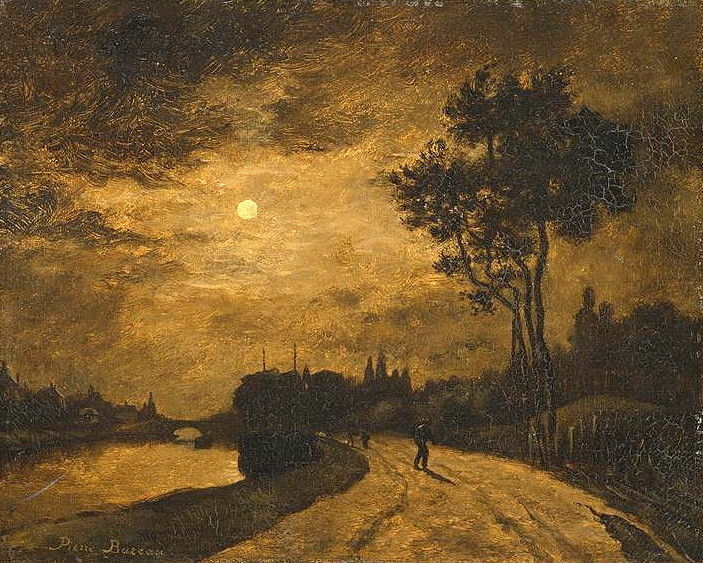 Pierre-Isidore Bureau (1827-1876), a promising young Impressionist landscape painter who made at least one notable nocturne. Tragically died shortly after the Second Impressionist Exhibition. Article. 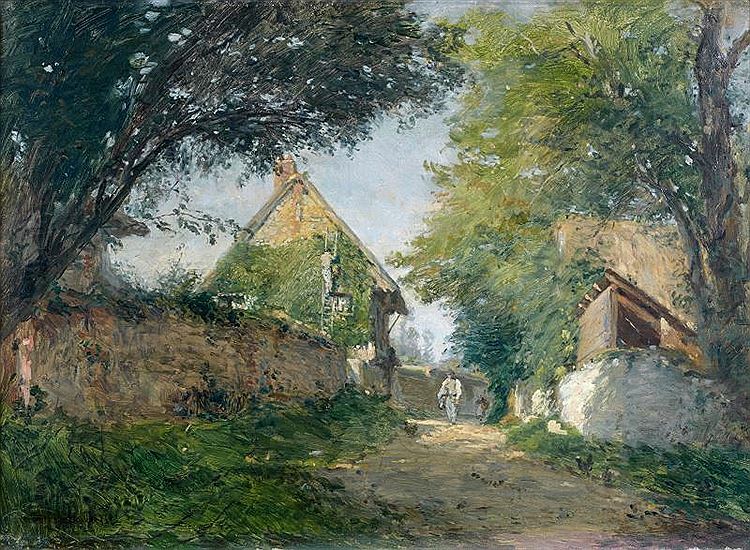 Adolphe-Félix Cals (1810-1880), older than many, was an enthusiastic member who painted superb Impressionist landscapes around Honfleur, with Boudin, Jongkind, and others. Popular and successful, his paintings deserve to be seen more widely again. Article. Gustave-Henri Colin (1828-1910), although not as strongly impressionist as most, painted fine plein air landscapes and scenes of bullfighting and other pursuits from his studio near Biarritz, in the Basque country. Article. 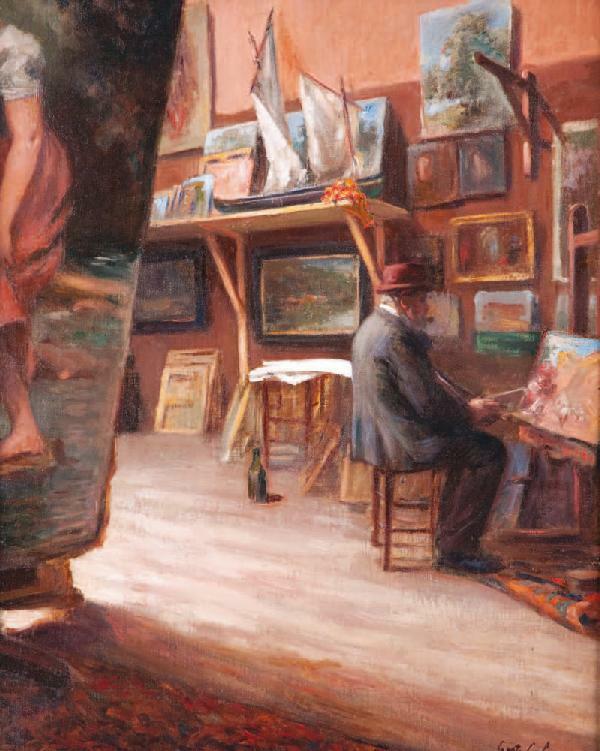 Gustave Colin (1828–1910), The Painter in his Studio (date not known), further details not known. Wikimedia Commons. Louis Debras (1820-1899) has disappeared almost without trace. Born in the Somme, it is possible that the destruction wrought by the First World War lost almost all his paintings and records. Article. 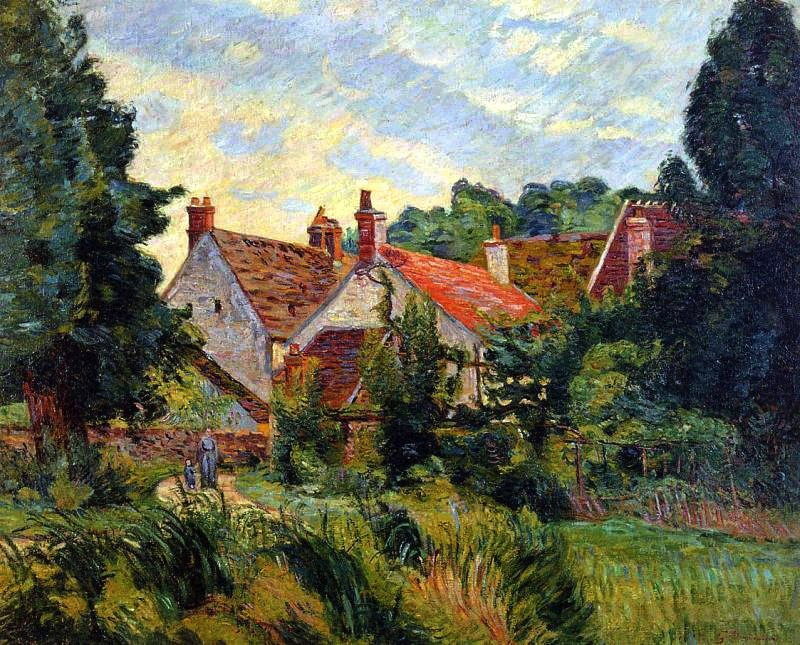 (Jean-Baptiste) Armand Guillaumin (1841-1927) was a fully-fledged French Impressionist who was innovative and influential, particularly to Pissarro, Cézanne, Signac, and van Gogh. 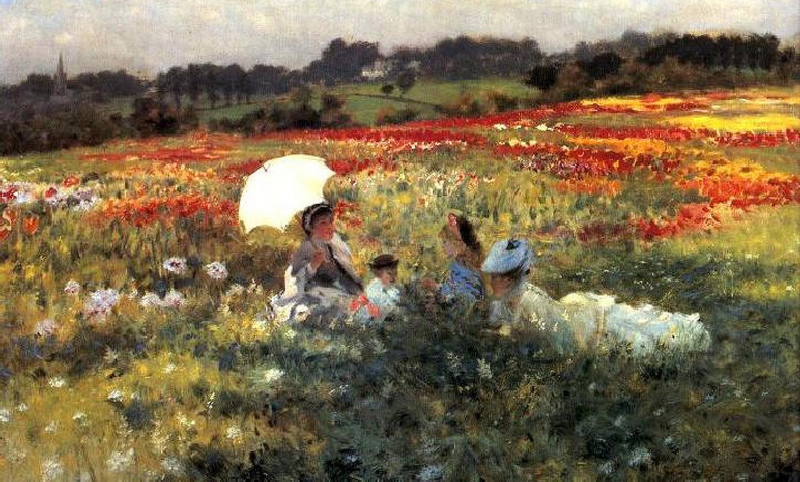 Although some of his paintings were weak, particularly later in his career, his best are among the best Impressionist landscapes. Article. Louis Latouche (1829-1884) was originally a dealer in paintings, who then became a colour merchant to many of the Impressionists. He also painted landscapes and marines, but his paintings seem to have vanished, and he has become forgotten. Article. Ludovic-Napoléon Lepic, Vicomte (1839-1889) was the grandson of one of Napoleon’s generals, who became a marine painter, but was never an Impressionist. A long-time friend of Degas, he is now better-known as the subject of several of Degas’ paintings.Article. 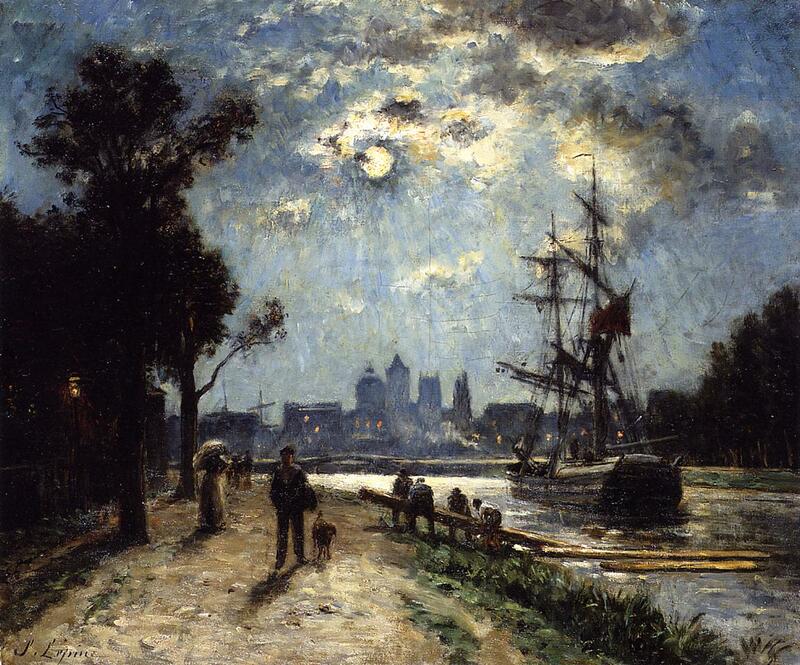 Stanislas (Victor Édouard) Lépine (1835–1892) was a pre-Impressionist who was a prolific painter of views of the River Seine, including the bridges of Paris, and some nocturnes. Sadly, he only achieved recognition a few years before his death.Article. (Jean-Baptiste-)Léopold Levert (1828-?) was a landscape painter in Barbizon style, who took part in four of the Impressionist Exhibitions. He has vanished so completely that even the year of his death is unknown, although Degas painted a portrait of him. Article. Alfred Meyer (1832-1904) was an accomplished painter in enamel, who exhibited successfully in the Salon. He also organised l’Union, and intrigued against Monet. 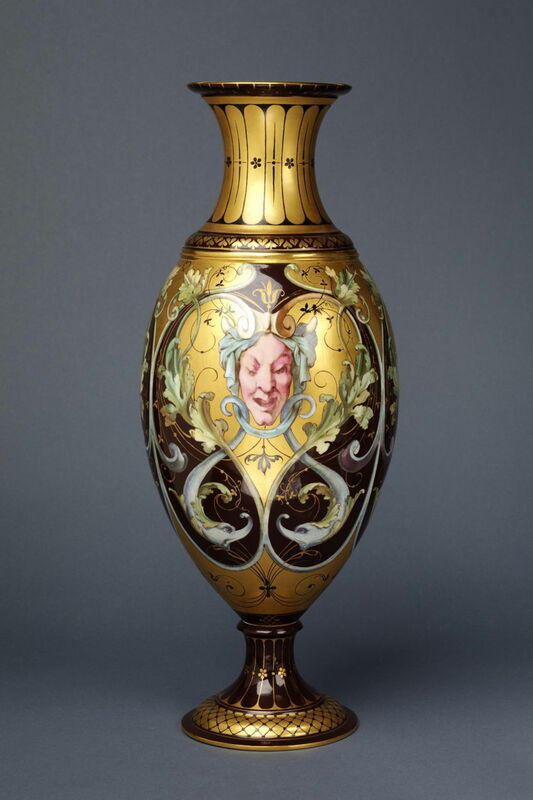 He returned to decorative arts, becoming a professor and working with the Sèvres porcelain factory. Article. Auguste de Molins (1821-1890) was Swiss, and painted rural genre scenes and landscapes. His style was realist, with some Barbizon school influence. 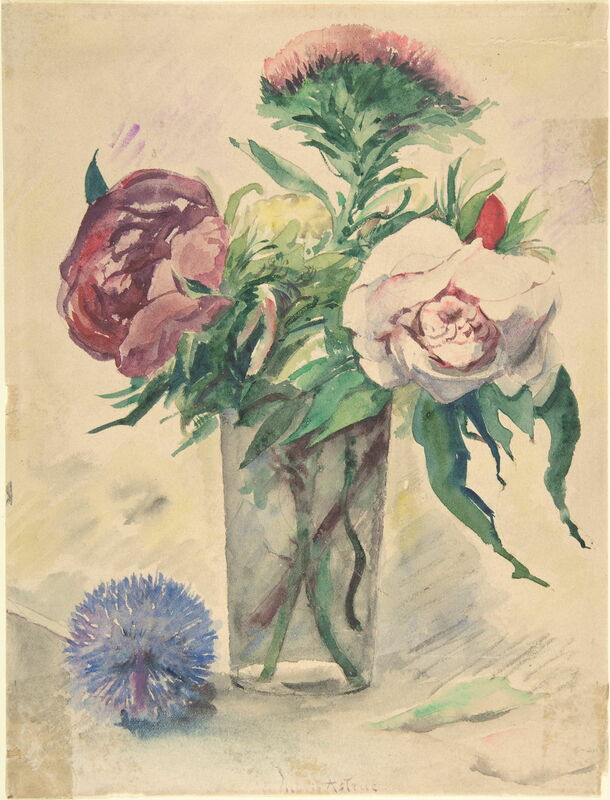 He returned to Lausanne, where he became Professor of Drawing and Painting, but little of his work survives. Article. Émilien Mulot-Durivage (1838-1920) came from Normandy, and painted landscapes. As he did not achieve success in Paris, he returned home where he became a well-known local painter. His work does not appear to have survived. Article. Giuseppe (or Joseph) de Nittis (1846-1884) was an Italian who initially had contact with some of the Macchiaioli. Technically highly skilled, he quickly found work in Paris in 1867, returning to Italy for a period, and painting on occasion in London. 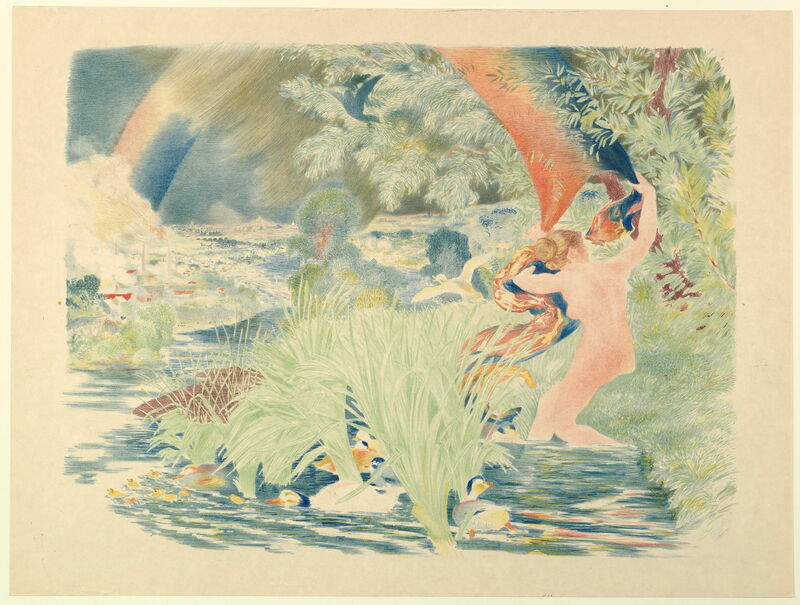 His style remained independent and naturalistic, but he was painterly in a controlled way, explored transient effects of light, and used high chroma. Of all the ‘vanished’ Impressionists, he appeared to have the greatest talent, the highest and most consistent quality. However he remained an outsider, more welcome as a patron than a fellow painter. He died suddenly at the age of just 38. Article. Auguste-Louis-Marie Jenks Ottin (1811–1890) was the oldest of the group, its treasurer, and a sculptor of repute whose work can still be seen around Paris and beyond. He also painted, but few of those works appear to have survived. Article. Léon Auguste Ottin (1836-?) 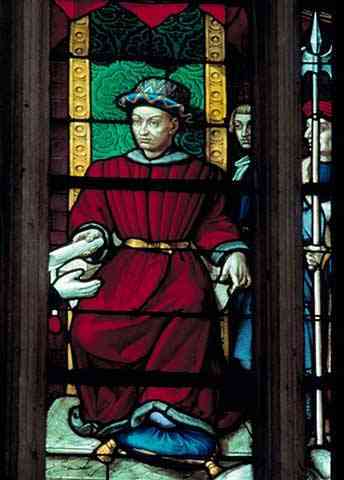 was the son of Auguste Ottin, who painted and created stained glass. Although his paintings do not appear to have survived, his stained glass windows are still in French churches. Article. Léopold Robert (dates not known) has vanished without trace, but appears to have painted in the Barbizon area. Article. Stanislas-Henri Rouart (1833-1912) was a successful industrialist who trained as an artist, and was a close friend of Degas and Caillebotte. His paintings are gently Impressionist, delightful, but not as radical or innovative as those of the major Impressionists. He was also a valued patron and collector. Article.